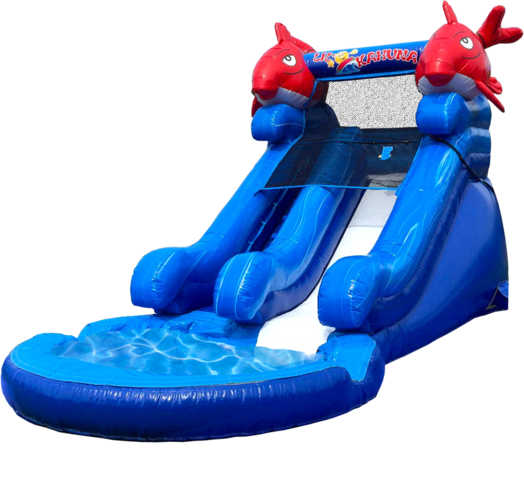 The Lil' Kahuna is perfect for a toddler water slide party. Toddlers climb up the left side and slide down from the right into a pool. The slide is 5 ½ feet high and the pool is 6 feet wide, 6 feet long and 6 inches deep. (Water system is provided; customer must have a water hose with a connection that reaches the set up area).